Alumni and friends joined Illinois Connection and took action in support of a $70 million federal grant. It’s a historic day for the University of Illinois, and your advocacy efforts helped make it a reality. Thanks, in part, to your 1,000-plus calls and emails to federal legislators voicing your support, the much-sought-after $70 million Digital Manufacturing and Design Innovation grant from the U.S. Department of Defense has been awarded to UI Labs. It will be combined with state funds and other support from corporate and university partners to create a revolutionary advanced manufacturing research and commercialization center in Chicago. The city’s mayor, Rahm Emanuel, calls it “a game-changer.” UI College of Engineering Dean Andreas Cangellaris draws comparisons to what Silicon Valley is to the semiconductor industry. And the University of Illinois is leading the charge – an effort that will benefit our state, the nation and the world. Members of the Illinois Congressional Delegation heard -- loud and clear -- that alumni who live and work in their districts are very supportive of this initiative. 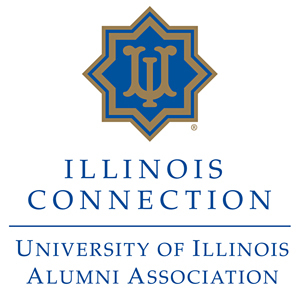 Thank you, again, for taking action and supporting our University through the UI Alumni Association’s Illinois Connection legislative advocacy network. You prove, time and again, what a difference the voice of alumni can make. Read more at Engineering at Illinois.